At Overstreet Builders, we are committed to building high quality homes. From design through construction to final closing, we believe that no detail is ever too small or unimportant. This commitment is a time-honored tradition, handed-down...a success formula through the generations...from our family to yours. 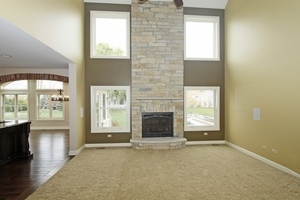 We are Chicagoland's premier custom home builder and we would like to build your dream home. Let our award winning team work with you to design and build a home to your specifications, backed by our personal service, proven craftsmanship, and commitment to excellence. Our business has been family owned and operated since 1961. Since we take great pride in our work, we keep our promise of dedication to meet and exceed our clients' expectations. 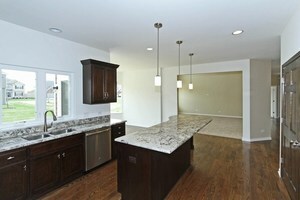 As custom home builders, we are proud to offer a variety of starter floor plans. Each plan includes flexible options for additional bathrooms, extended dinettes, sitting rooms. Your home is built specifically to meet your requirements. Subdivisions of our custom built homes are located in communities such as Elgin's Highland Woods and Naperville's Ashwood Park. The clubhouse communities we build in offer many amenities to the residents. With schools, parks, and shopping areas nearby you will get a full sense of community. Call Overstreet Builders today to design the home of your dreams!